Miya Company - Folding fans in beautiful patterns to take wherever you go at Miya! 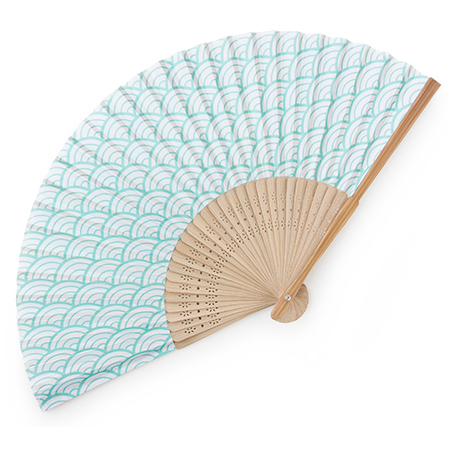 Beautiful folding fan in a classic Seigaiha Waves pattern and a contemporary teal hue. Take it wherever you go! 8.25" h; approximately 14.5" wide when open.